As 2017 is drawing to a close, it’s time to step back and reflect on some of the best advertisements of the year. Which ads have grabbed our attention the most? Which advertisements have been the most memorable and well-crafted? Let’s get right to it and dive into the 10 best advertisements of 2017 (so far, anyway). Chances are, due to regional limitations, you may not have seen a lot of these. The masterminds behind this piece of cinematic advertising for the Royal Danish Theatre in Denmark pulled out all the stops when creating it. The 90 sec spot is so brilliant and artful that it‘s a piece of art in its own right. In a snappy mash-up of artists preparing for their respective shows, the film gives us a unique view behind the scenes of one of the oldest theatres in the world. And you end up simply wanting more. Going to the theatre has never been more exciting! There’s nothing that can beat some good old-fashioned honesty in advertising. The images in this advertisement are of real fires at some real Burger King locations. This, of course, raises an important question: Did the process of flame-grilling CAUSE those fires? Nobody really knows. And it seems like nobody really cares, either. The simple act of having the flames in the advertisement creates some cinematic genius, and the unexpected always makes for good ad copy. Note: Upon researching, it was found that no one was injured in these fires. This advertisement comes largely in the form of a public service announcement. This is aimed primarily at veterans suffering from post-traumatic stress disorder, helping them to overcome their difficulties. Often, it is felt that PSA’s shouldn’t be included in lists like this because creatively they are much easier to work with and you get to take a lot more creative license. But this one was just so well done that it belonged here! Wait, a ketchup commercial that does not have any ketchup in it? How does that even work? Very well, if you take this particular advertisement by the Heinz company as an example, anyway. The ad is a play on a fictional ad pitched on television’s Mad Men, this ad runs in print and outdoor advertising mediums all across New York City. 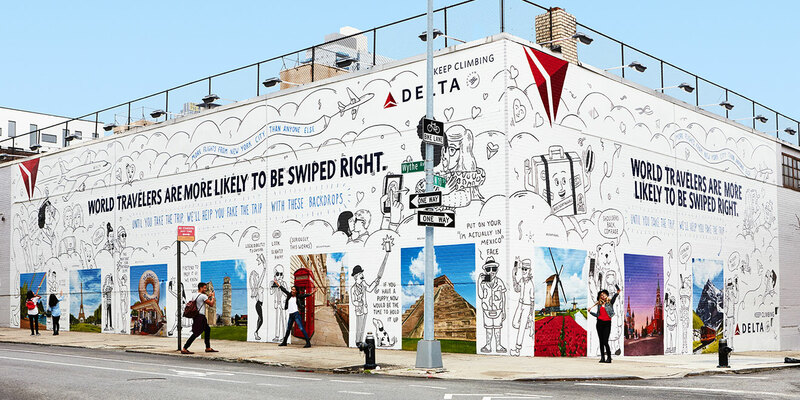 An advertisement run in partnership with Tinder, a popular dating app. 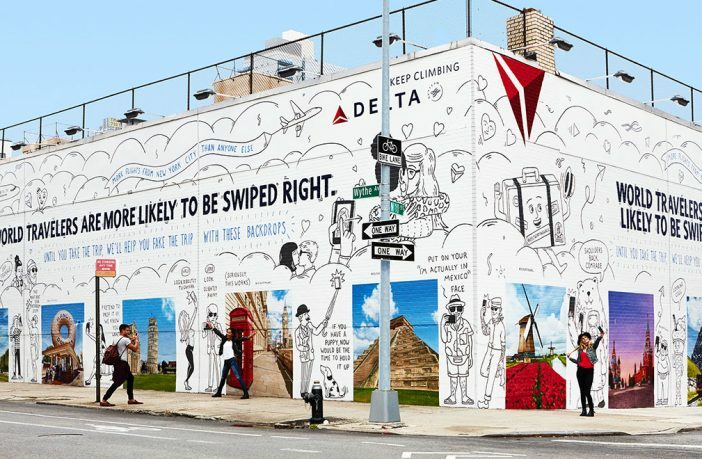 Delta put photos of several exotic locales on a wall in New York City and singles could take selfies for their dating profile. This was further enhanced by some awesome illustrations! Nike put forth an effort to break the two-hour marathon mark. This may seem similar to a Red Bull Stratos ad. There’s nothing like someone in marketing applying a real-world challenge to get people paying attention. This has been a year of major political upheaval in the United States. So, what better way to showcase journalistic integrity than to address some of that in the advertising? 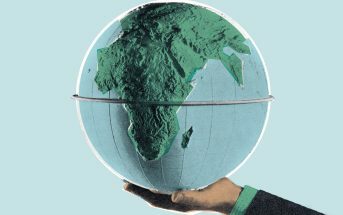 The NYTimes had several television advertising spots where they showcased some serious issues happening around the world – and how the paper uncovered the facts in those situations. First appearing during the Super Bowl, and considered to be one of the best at that this year, this ad was a provocative and beautiful look at the situation on immigration. It showcased 84 Lumber workers building a door in Donald Trump’s wall between the United States and Mexico so that people could pass back and forth between the two. Many feel that virtual reality is often very difficult to showcase in advertising. But in this brilliantly played spot by Samsung, they managed to make it happen. They made use of the ostrich, a bird that is otherwise unable to fly and gave it the ability to virtually soar through the use of virtual reality. This advertisement made use of beautifully done CGI and brought the concept to life for many in a very real way. In this commercial, Apple made use of narration from Carl Sagan, who has since passed on, reading from his novel from 1994, “Pale Blue Dot.” The ad was some form of protest after US President Donald Trump pulled out of the Paris Climate Agreement. 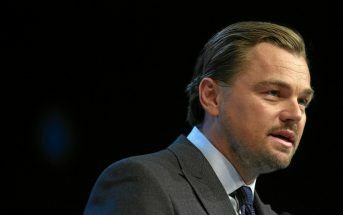 It shows us everything we have to lose when there is no Plan B and why we need to protect the Earth and our environment. Often, people do not consider advertising to be terribly creative or cinematic. But these examples above show that they can be both. Advertisements are often the first exposure many people have to a new brand. Marketers and advertising agencies are taking advantage of that and trying to put their best effort into creating beautiful and engaging advertisements that will catch your attention and make you want to know more. Advertising has come full circle and now has just as much value as the programs that it interrupts. It can gain awards and find a valued and special place in the hearts of viewers. And that is how it is going to promote products and services.